Bombay in the 1930s and 1940s reigned as the undisputed cosmopolitan capital of the Subcontinent. 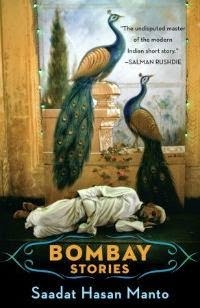 Bombay Stories is a collection of Manto’s work from his years in the city. Freshly arrived in 1930s Mumbai, Manto saw a city like no other—an exhilarating hub of license and liberty, and a city bursting with both creative energy and helpless despondency. It was to be Manto’s favourite city, and he was among the first to write the Bombay characters we are now familiar with from countless stories and films—prostitutes, pimps, lowlifes, writers, intellectuals, aspiring film actors, thugs, conmen and crooks. His hard-edged, moving stories remain, a hundred years after his birth, startling and provocative?in searching out those forgotten by humanity, Manto wrote about what it means to be human. Matt Reeck and Aftab Ahmad’s translations reach into the streets and capture in contemporary, idiomatic English the feeling that Urdu’s most celebrated short-story writer’s work stories provide in the original. Saadat Hasan Manto, the most widely read and the most controversial short-story writer in Urdu, was born on 11 May 1912 at Sambrala in Punjab's Ludhiana District. In a writing career spanning over two decades he produced twenty-two collections of short stories, one novel, five collections of radio plays, three collections of essays, two collections of reminiscences and many scripts for films. He was tried for obscenity half a dozen times, thrice before and thrice after independence. Not always was he acquitted. Some of Manto's greatest work was produced in the last seven years of his life, a time of great financial and emotional hardship for him. He died a few months short of his forty-third birthday, in January 1955, in Lahore. Mumbai for me is a dreamland. I love revisiting it again and again. It is like a lost lover for me, always there willing to calm me down when I want a good cry and be there for me, waiting with open arms. I was introduced to Manto’s works through Random House and today I can proudly say they helped me find my long lost love yet another time. Now you can imagine when two of my loves come together the celebration would be an unforgettable one. Such is this book, simply put. I have always admired Manto’s writings for the certain rawness that they have in them when it comes to emotions and conflicts at work. He is a maestro at conjuring magic through his words, managing to capture the right moment and ensuring the reader time travels with him to that time and witnesses it again. His writing is fluid; if there can be a description like that. It simply flows, and as a reader you are simply mesmerized. Nothing else can describe it aptly than this. His stories are one that speak to you in a manner that no other author manages to do. His style of narration is such that it is bound to touch readers across age groups and they being short stories add up to it for people who don’t enjoy reading full length novels. In short two words for this book – Strongly recommended. 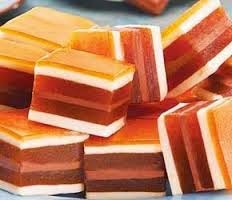 This book is like mango chocolate mithai – Unique, tasty, different and very much Mumbai!